When it comes to sunshine and securing that longed-for dose of Vitamin D, it’s understandable that the majority of the people living in the UK might feel a little short-changed. Chasing the sun is just one of the reasons so many holidaymakers decide to up sticks and head overseas. From lounging poolside in Ibiza to introducing the kids to their first seaside experience in Nice, for many travellers, a holiday without sun can hardly be called a holiday at all. However, if you are travelling with a young family and intend to spend time out and about in the sunshine, it’s essential to take the appropriate steps to keep your children safe. Though you might be aware of the power of the sun in certain destinations, it’s possible for those dangerous UV rays to damage delicate skin wherever you might be in the world – even in the UK. Not only can the sun’s rays cause uncomfortable sunburn, which can really put a downer on your family holiday but underlying damage from persistent exposure could even put your children at risk of skin cancer further down the line. Sometimes, getting the kids ready and out the door can feel like a full-scale military operation. It’s all too easy for something like applying sun cream to fall by the wayside and, next thing you know, you’re frantically applying it on the beach. Considering the fact that many sun creams need to be applied a good 15 minutes before sun exposure for full effect, this is far from ideal. Make applying sun cream a fun part of the morning routine and ensure that every part of exposed skin is covered, including ears, feet and hair partings. Pay particular attention to the shoulders and back of the neck as these areas receive the most intense exposure as children are playing. Use a brand you trust – sun protection is no area to scrimp on. Check that the cream has a high SPF – children’s delicate skin needs a higher factor than adults to stay protected. Play it safe with an SPF of at least 30 to 50 and don’t forget to apply liberally after a dip in the sea and periodically throughout the day. Choosing a waterproof sunblock will help if your child is swimming, but you’ll still need to reapply once they are back on dry land. It’s all too easy to become dehydrated on holiday – there are far too many distractions to remember to drink water regularly. The thing is, if you wait until you are thirsty, you’re probably already dehydrated and this can result in some rather nasty symptoms such as dizziness, nausea, feeling light-headed and irritability. Supervise regular water breaks to ensure children are hydrating correctly. Avoid sugary, fizzy beverages – they simply won’t have the same effect. Babies under six months of age need to be kept out of direct sunlight, their fragile skin simply won’t cope. For peace of mind, feel free to pop on an ultra-sensitive formula, but otherwise ensure they are nicely covered up with protective clothing and use a pram or pushchair with a canopy to keep those pesky rays away. As a general rule of thumb, the sun is at its peak from midday to 3pm. This isn’t to say that’s the only part of the day you can get burned, but it is when it is most likely to happen fast. Make sure you and your family remain in the shade during the hottest part of the day – it’s a great time for an extended lunch break and even a little siesta. Why not? You’re on holiday! Taking care of the health and well-being of your family is a top priority for any loving parent or relative. That’s why ensuring you book the right travel insurance for your family needs to take top priority when travelling overseas. 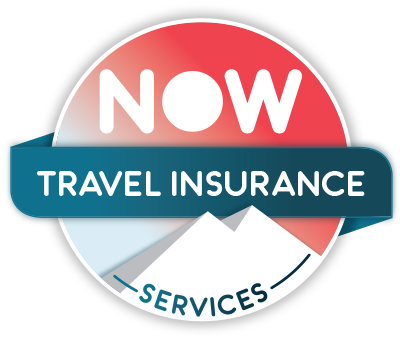 NOW travel insurance offers a range of excellent deals to suit a variety of budgets without compromising on quality. Get your quote today and make sure your loved ones are covered.